It's not easy to be co-signed by big dawgs in the game such as BBC 1Xtra's DJ Edu and UK Afrobeat star Fuse ODG, at such an early stage in your career. Just as Fuse ODG said "opening a new world of Afrobeats" is singer Tembi whose roots are Caribbean, but blends nicely in and out of Afrobeats. Fusing Afrobeats, R&B, Pop and a hint of Reggae all in one to create his heartwarming debut ‘I Do’, Tembi is one to watch for 2015. Already having received support from the likes of BBC 1Xtra's DJ Edu, Reprezent Radio's DJ Neptizzle and Capital Xtra's Jade Avia, Ras Kwame, West London's very own Tembi grew up on a musical background and doesn't shy away from it whatsoever. His Father - a musician, toured regularly in and around Africa and exposed Tembi to the different sounds of African music, which cemented his musical foundation before he went forth to developing and nurturing his own passion for music. 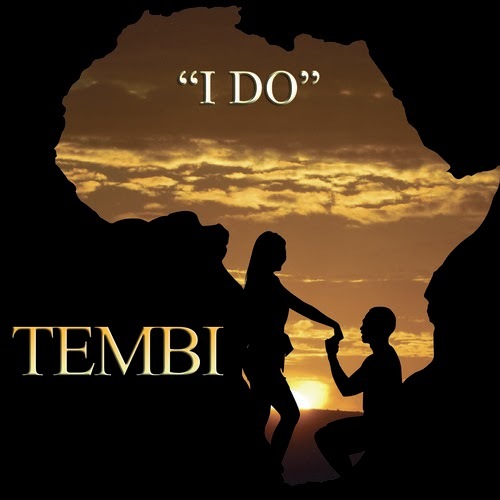 Tembi's first single ‘I Do’ steals the hearts of lovers across the world with it's captivating lyrics over the Silvastone production. Tembi is ready to take on the world and the Afrobeats scene with his music and different approach to the musical world. Tembi is pinned as one of my 'one2watch' for 2015! Stay tuned for more of Tembi on It's Just Mobolaji within the coming months and year!